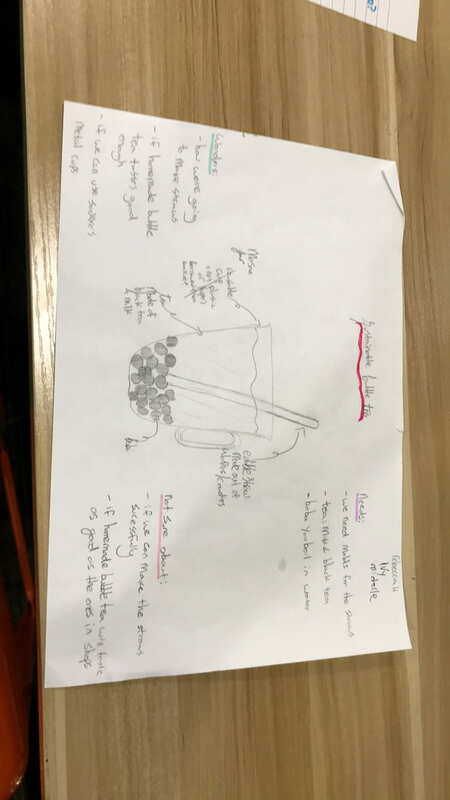 Our group is making sustainable boba tea, which is normal boba tea served with a edible sugar straw in a reusable mason jar. 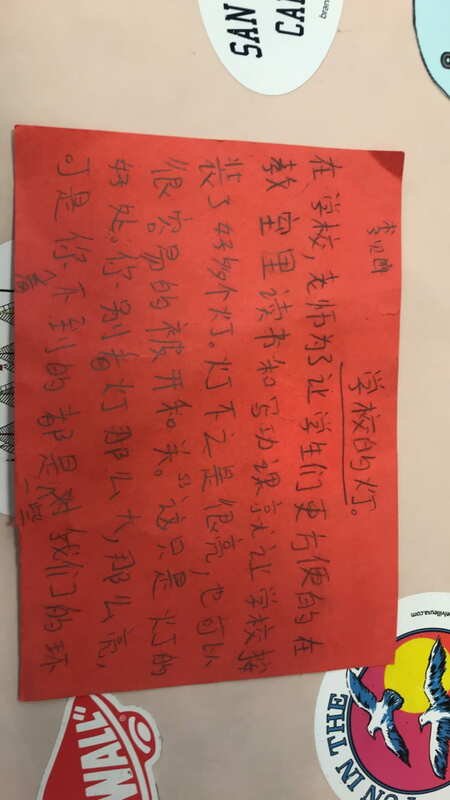 Our plan is to sell one tea for 30RMB and give a refund of 3RMB back if customers want to return the jar. When I saw the edible straws made by Loliware, I thought that we should use a similar idea and make edible sugar straws instead of using plastic or paper straws..
Our ideal customer can be anyone who likes drinking boba tea and is interested in the idea of sugar straws. Most people we interviewed said that if we used a candy with a flavor that’s compilable with the tea (White Sugar, Caramel, Maple Syrup, etc), they would buy it, regardless of age or gender. 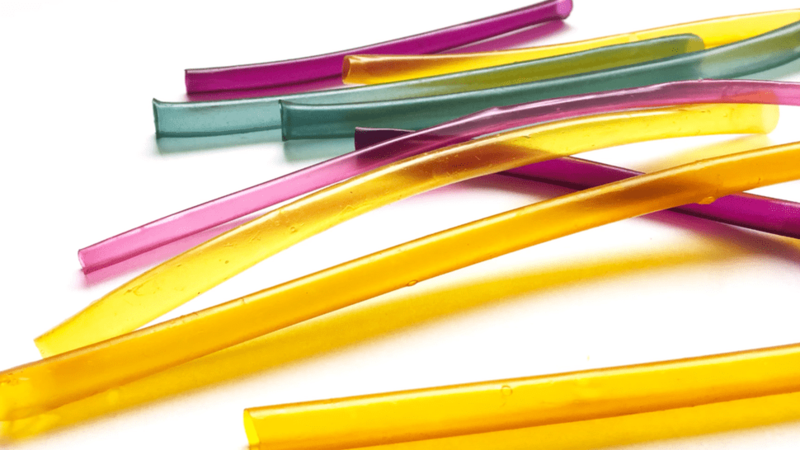 Knowing that as long as the success of the straws will play a big part of our business, we need to make them perfect to attract more and more customers. damages our eyes at a rapid rate. Though it is convenient and thoughtful for the school to provide us with thousands of lights at ISB, but have you thought about what all those lights do to the environment? What ISB should do instead is to insert a lot of solar panels onto their roofs and use that for energy instead, and they should also turn off as many lights as possible when there is enough sunlight to light up a classroom. The water levels is too low so the sticks didn’t really float. During April, what was different was the water levels of the river. Because of the water levels, the sticks flowed very slowly and it was extremely hard to get water samples. 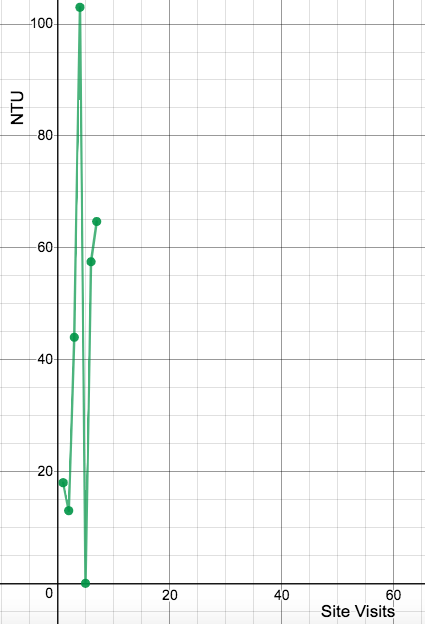 I notice that because the flow rate was really slow because of the water levels, so the data was also really different. That also affected the Turbidity, causing it to go up to 67 at the highest, which was 6 above the highest of the testing in March. I wonder if the next time we go back the water levels will go back to normal along with the turbidity. I also wonder what caused the water levels to go down so much. During Project Recharge, we learned about child labor being used around the world in products we use in our daily lives. In drama, we got to play the roles of some people in the process and have a basic idea on how they feel. Our group acting out a picture related to the process of child labor chocolate. Looking back on Project ReCharge, I learned that a lot of popular companies that we all shop at use child labor in their production process. For example, I didn’t know that some of my favorite clothing brands like H&M and Forever 21 use child labor because of their cheap prices. Before this project I used to think that child labor was very rare today and none of the big companies use it. Now I think that child labor is very common because companies like to keep their profits high by using people that can’t get paid much. For example, companies like Nike are famous and big but because of their desire of profit, they use child labor like many other companies. Looking back on Project ReCharge, I realize that I learned a lot about what the children working at factories have to go through. For example, I learned that they don’t get paid at all and sometimes even get hit by their owners, if they don’t work the way they are supposed to. They work 12 hours a day, fueling on little sleep and minimal food. I wonder if there’s any way that this could be put to a end, and if the companies will cooperate. Free Speech: Limited or unlimited? Yes, the freedom of speaking your opinions are welcomed. No, it’s not wrong. But when it comes to some people, speaking your own thoughts might take a big turn and go straight to violence against others. An example of that is the protests in Charlottesville via CNN, where a group of people started to get mad and so the protest turned violent-based. Shortly after, a man drove a car into the opposing crowd. We should all have a chance to express our different thinking from our different minds, but taking it too far will hurt others and that is not the point of sharing ideas. Sharing our different ideas can expand the perspectives of others, so the stories we see aren’t just all one sided. Even though they might worry about people not listening about their ideas, I think that the government will more likely listen to people that do no harm to others. Humanity has worked so hard for so long to try to achieve the peacefulness that we all deserve. Let’s do this in a peaceful, civilized way. We should all be able to freely express our opinions on things we care about with no limits at all, because when limits are set, our ideas won’t be fully expressed. It’s only going to be half of our ideas that are going to be showcased to the public. The protest by the White Nationalists wasn’t wrong in any way, because they were just expressing their own opinions to public, to try to convince the public that they’re right. The removing of the Robert E. Lee statue clearly upset them, so protesting to public makes sense because they aren’t 100% agreeing with the idea because of their supporting of him. If they protest, the government might even consider their idea of keeping the statue, therefore, protesting may the situation better. Even though that sometimes they’re not sure if people will listen, they have enough passion in them to still give it a try and scream it out. I believe that people all should have a chance to tell the world what they think, but they should always keep it peaceful and not hurt others throughout the process. Being able to share your ideas can do a lot for you and others, since that you can view the story from a variety of perspectives different from your own. 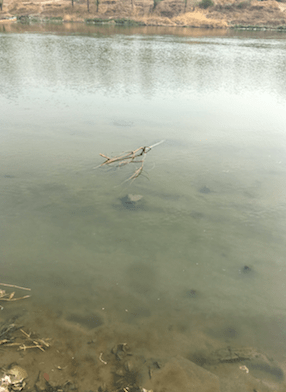 On March 7th 2019, we returned to the Wenyu River for the 5th data collection. Nothing really changed since the last time we came here, since the data is all very similar. The flow rate is always around 5 to 6 seconds, but this time, there was one that was around 3 seconds. That might be because the weight difference of the different sticks we used. Today, we did final touches on our drawings, printed our interviews on a4 paper, and went down to take a candid of our person doing what they do normally everyday. I added more shades on the face to make it seem more realistic and I added more strands on the hair so it doesn’t look like a giant blob. We also set up for our exhibitions, which included taping up our drawings, portaits, candids, and paragraphs. I learned alot this Ignite week, which includes drawing with charcoal and blending, taking good photos with a phone, and planning interviews and who to talk to. On Wednesday, We started our charcoal drawings that Mr. Northcott already outlined for us to save us some time since we had limited time. I learned how to use charcoal as a art tool, and I also learned how to blend charcoal and chalk well. Because it was my first time drawing with charcoal and the paper was big, it was kind of challenging for the drawing to be scaled. Shading was also very hard, because the charcoal wouldn’t blend very well and it was my first time. For Ignite Week, the activity I chose was Humans of ISB. In Humans of ISB, we find a person that we haven’t talked to before to interview. We ask them a simple question. “What was the happiest moment of your life?” The answer varies because all those people that we interview are different, unique, and have their own opinions. After the interview, we then take a portrait of them up close and use that to make a charcoal drawing of them. We also take a candid/photo of them in action doing what they do at school and put that next to the drawing. Lastly, we put the paragraph about them and what they said next to the art. On Monday, we thought about our options of people and planned the interview, and on Tuesday, we did the interviews and took the portaits. I interviewed Mandy, a Kindergarten TA at ISB. When I asked her the question, she said that her happiest moments are when she spends time with the kids here, because they give off some positive energy and it makes her happy.